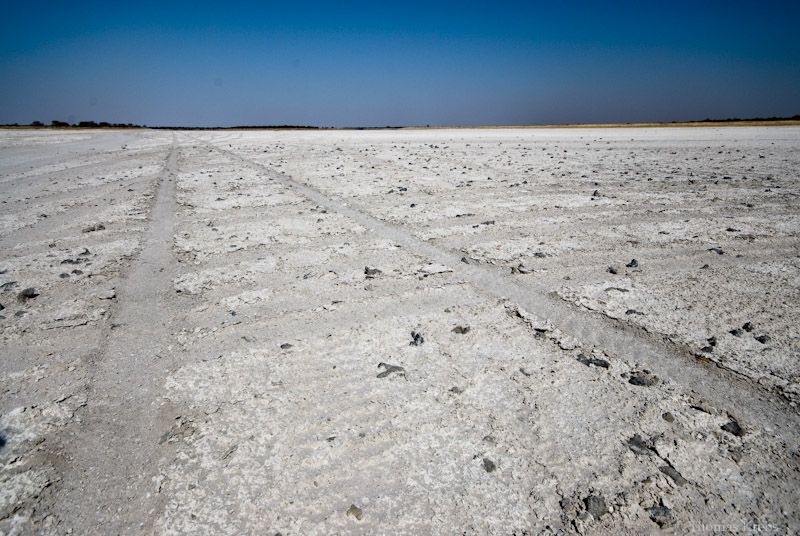 The Nxai pan is adjacent to the Makgadikgadi pan in Botswana which is one of the largest salt flat complexes in the world. It covers 16.000 square kilometers. Gelungener Bildaufbau und schön wie das Bild in der Mitte "strahlt"
Excellent low wide angle shot, love the vastness. A great creative mood almost like the end of time. Love the solitude in this one!